Arnie, now 68, has teamed up with his old buddy and Terminator director, James Cameron to champion vegetarianism, encouraging people to ditch meat to improve health and combat climate change. Back in the day, Arnie won seven Mr Olympia titles – so it’s probably fair to assume he knows a fair bit about diet and nutrition. His old training diet was seriously protein heavy, packed with meat and dairy, but he’s now cutting it out altogether, reports Emaxhealth.com. “I’m slowly getting off meat and I tell you: I feel fantastic,” he says during a video for WildAid – an organisation hoping to persuade people to cut their meat consumption by 50 per cent. The former Governor of California’s new stance on diet and health comes after the Chinese Government said it plans to cut the country’s meat consumption by half. According to The Guardian, this reduction could potentially reduce carbon emissions by 1billion tonnes by 2030, as 14.5 per cent of greenhouse gases come from livestock. Meat and dairy are also blamed for rising obesity and diabetes rates in China, with more than 100 million people now suffering from type 2 diabetes in the country. Arnie’s not the only one dropping meat from their diet – Boxer David Haye is vegan, getting all his protein from plant sources, and Mr Universe Barny Du Plessis manages to build plenty of muscle from his meat and dairy free 6,000-calorie diet. How does it taste though? 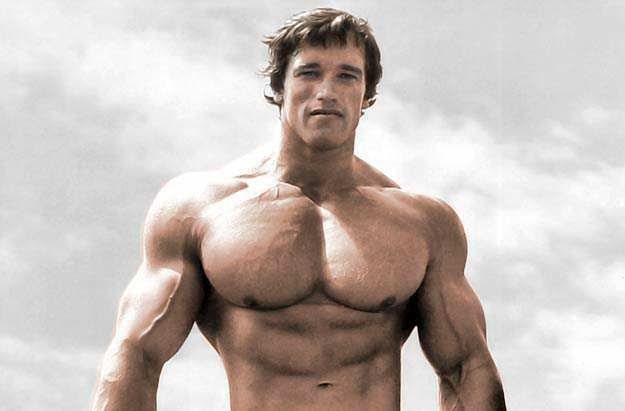 Arnold Schwarzenegger Wants You to Stop Eating Meat and Go VEGAN!